Scott Spann, M.D., a graduate of the School of Medicine’s Class of 1986 and board-certified orthopaedic spine surgeon from Austin, Texas, will deliver the keynote address during the school’s annual Pledge of Commitment Ceremony. The event is scheduled for 5 p.m., Friday, Jan. 10, at the Koger Center for the Arts. A native of South Carolina, Spann is a nationally recognized spinal surgeon. 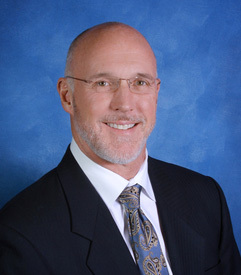 He founded Westlake Orthopaedics Spine & Sports in Austin and Pantheon Spinal, a medical device company that develops and manufactures advanced lumbar spine surgery products and implants. Spann was an All-American swimmer at the University of Texas prior to attending medical school at USC. In 1981, he led the Longhorns to their first NCAA title in swimming. He was working toward his lifelong goal of attending the Olympic Games when the U.S. decided to boycott the 1980 Moscow Olympics. In 2005, a cycling accident left Spann paralyzed from the neck down. Through aggressive treatment and rehabilitation, he recovered from his major spinal cord injury and returned to his medical practice six months after the accident. At the Pledge of Commitment Ceremony, Spann will address 92 second-year medical students, their friends, family and guests, as the students prepare to symbolically enter the medical profession. The event marks a rite of passage for members of the Class of 2016 as they enter their clinical years of study. The students will ceremonially don their white medical coats and take an oath to confirm their commitment to the medical profession. The School of Medicine held its first Pledge of Commitment Ceremony in 1998. This entry was posted in Uncategorized and tagged Cermony, South Carolina, Spann, Spine. Bookmark the permalink.